Something we carry in our store, and little product we love are these Paloma's Nest bowls. 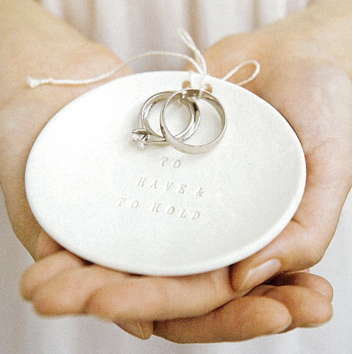 They are ceramic dishes that are perfect for the ring bearer to hold instead of a traditional pillow at a wedding. 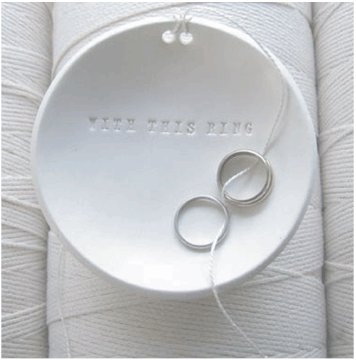 And after the wedding, the dish can be kept as a keepsake and hold your rings on your night stand. 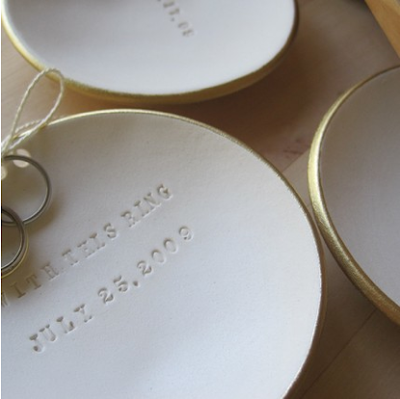 They come in several different thoughtful texts and you can even customize the engraved message on the dish. One of these handcrafted pieces is perfect for a family heirloom that can be treasured and passed down for years.